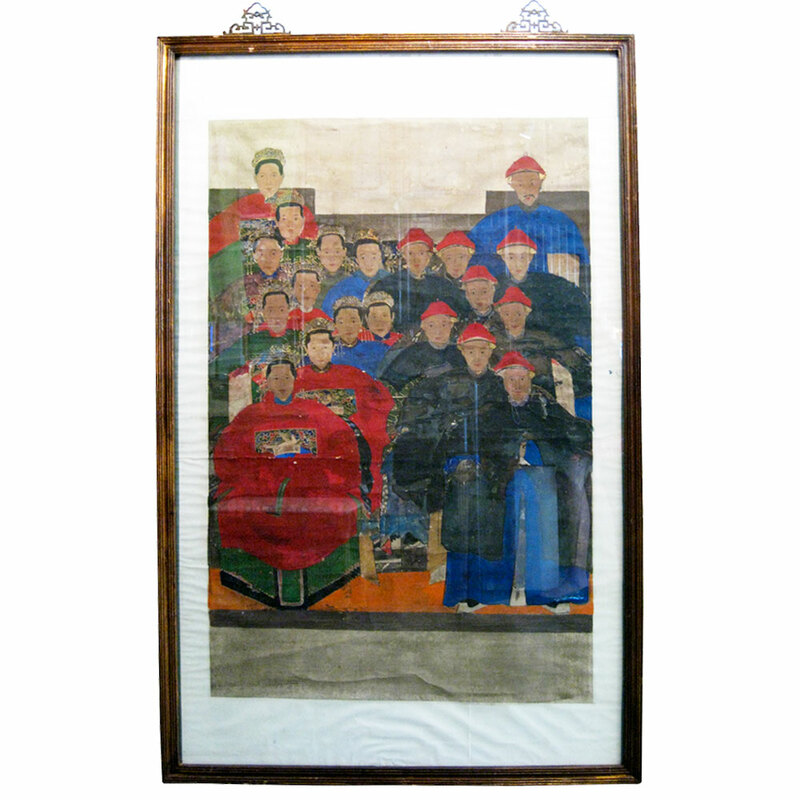 20-person ancestral portrait painting from late 19th to early 20th century. Antique ancestral paintings are among items on China Cultural Relic's priority list forbidden to ship out of China and therefore the antique pieces are becoming more rare. The organic colors used on these old paintings often derived from plants or mineral source, and may be similar to those used in fine Chinese porcelain paintings, Chinese furniture, and other fine Chinese arts. Paintings with many multiple figures are among the most sought after. 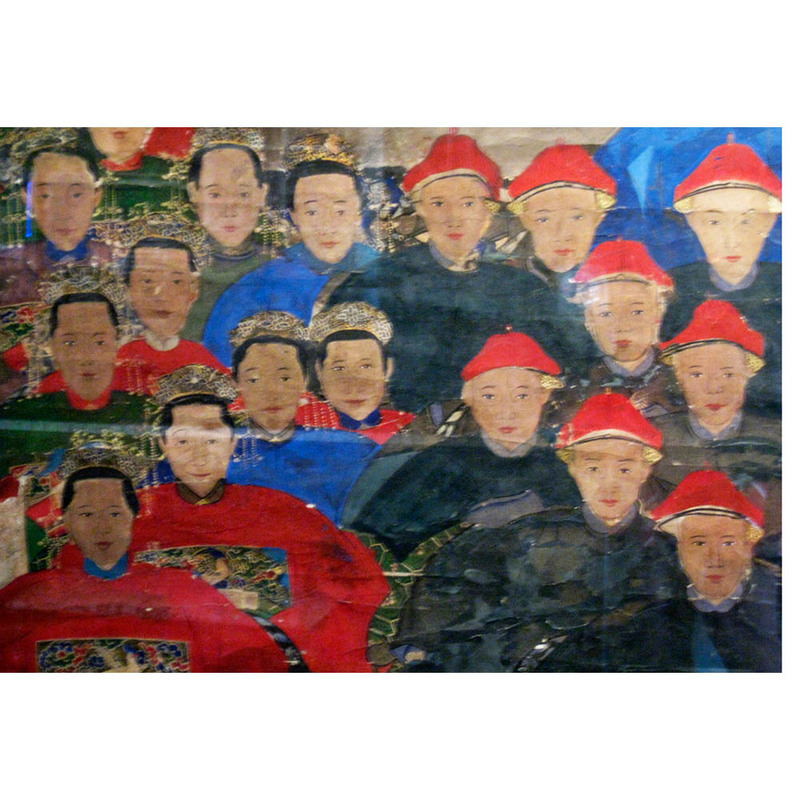 Ancestral paintings are a genre of Chinese folk art. They were a painted version of a family tree, sometimes representing 4-5 generations. Use as a focal spot of color in a room. Hang over a narrow altar table or coffer in the hallway.Finish: The reproduction frame features antiqued gilt finish, heavy glass, and traditional-style brass hanging hardware. Dimensions: 41 1/4"w x 1 1/2"d x 66 3/4"h.